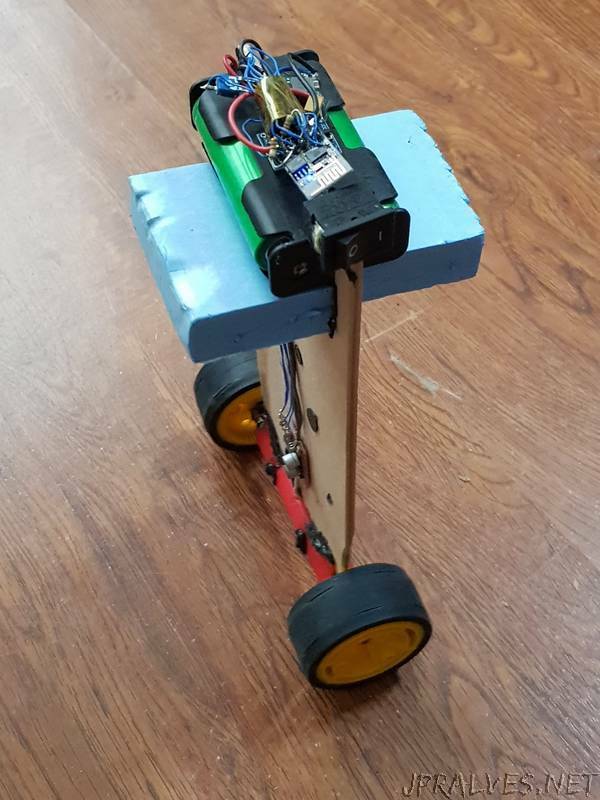 Originally the robot was built using Arduino pro mini and all it could do was balance. I was thinking to add BT module to control it until I discovered that I have ESP8266 lying around. Also I decided to use a better IMU algorithm instead of DPU of the MPU6050. Thus the ESPBalancingRobot was born. It does uses DC motors to balance and no encoders. Speed is being estimated using PWM signal averaging and constant angle is maintained using a double stage PID controller.